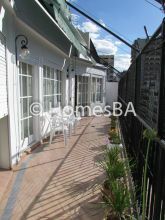 Beautiful apartment with large living room, two bedrooms and a lovely balcony-terrace in the best location of Recoleta. Full kitchen with breakfast table. Modern, youthful and very cheerful furnishing. 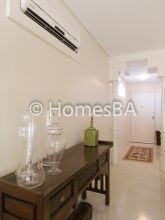 3 Air conditioning in the apartment. Main bedroom has a Queen bed with antiallergic latex mattress and pillow. Bright, open view. 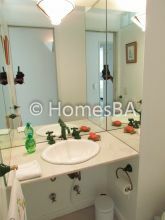 Full bathroom, with bathtub. There is also a toilette. Second bedroom has two twin beds.